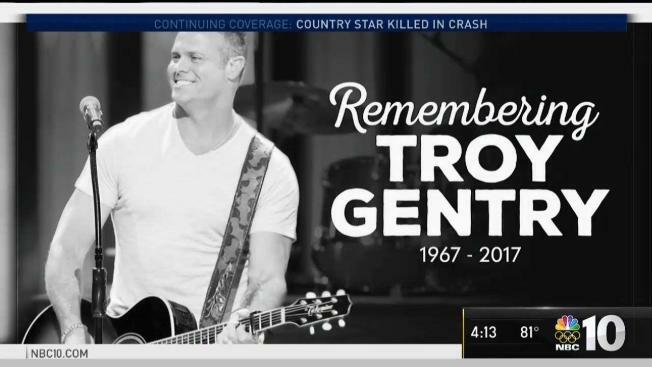 Friends, family, and fans are remembering Troy Gentry almost a week after Gentry was killed in a helicopter crash. On Thursday, a memorial celebrated the country star's life and his impact. Country singer Troy Gentry of the popular duo Montgomery Gentry was memorialized Thursday by friends and Grand Ole Opry singers as funny and kind, an artist with a huge appetite for life who loved his family, his music, his band and his fans. During a public celebration of his life held at the Opry, friends reminisced about Gentry's big personality, his flashy smile and his jokes. They sang songs he loved to sing, along with some about his home state of Kentucky. 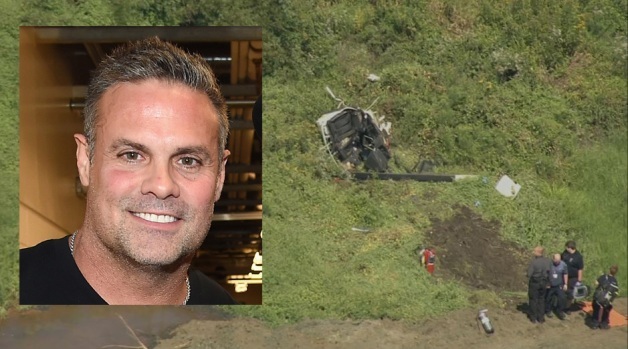 Gentry, 50, died Friday in Medford, New Jersey, in a helicopter crash. The pilot, James Evan Robinson who was also killed, reported shortly after takeoff that the aircraft was having mechanical problems. Gentry's own voice, on an unreleased song from a forthcoming album, closed the ceremony. "Better Me" featured Gentry singing about how he was a bit older and a little less reckless, and had turned a page on his wilder days. "I ain't saying I am perfect, but I am working on a better me," he sings in the ballad. Little Big Town, Vince Gill, Charlie Daniels and Trace Adkins were among the stars who gathered at the service to sing songs like "How Great Thou Art," ''Wayfaring Stranger," and "My Old Kentucky Home." Gentry's casket was placed in the famous circle in the middle of the Opry stage, where he often stood to sing with duo partner Eddie Montgomery, and was surrounded by sprays of white and red roses. Gentry and Montgomery were inducted into the Opry in 2009 after a string of No. 1 country hits and platinum albums with their mixture of Southern rock and country. Some of their hits included "Roll With Me," ''Back When I Knew It All," ''Lucky Man," ''Something to Be Proud Of" and "If You Ever Stop Loving Me." Montgomery Gentry was the only duo to interrupt the win streak held by Brooks and Dunn in the Country Music Association's vocal duo category between 1992 and 2006 when they won in 2000. Gill encouraged Montgomery, who was seated in the audience, to lean on the Opry family and to return to the stage as he deals with the grief of losing his musical partner. Several singers went into the audience to hug Montgomery. Gill teared up as he performed his own song, "Whenever You Come Around," which was the first song that Gentry sang for his wife Angie. A full-sized Batman costume was set up beside the casket, a personal memento from Gentry who idolized the superhero. Many of his friends wore Batman logos on their bowties or buttons. Rafeal Calderon, a family friend, explained that Gentry, who was as large and muscular as a football player, looked up to the superhero. "He always said, 'You don't need superpowers to be a superhero.' Troy was a hero to all of us, but not as much as to his daughters," Calderon said. He was remembered for his charity work for the T.J. Martell Foundation, and the USO, his love for Halloween and Christmas holidays, Elvis Presley and Disney movies. Friends talked about the meaning behind his tattoos and his on- and offstage antics. Mike Glenn, senior pastor at Brentwood Baptist Church, talked about how Gentry's faith had deepened in recent years and he was a better person for it. "Now he was the best Troy we had ever seen," Glenn said. "His music was better; his writing was better." Glenn said Gentry was excited about the new record they had just recorded, which was expected to come out in 2018. "I don't want you to leave here thinking this man was perfect. He wasn't," Glenn said. "But he was on his way." Gentry is survived by his wife, Angie Gentry, as well as his daughters, Taylor and Kaylee.